Polish Folklore Import Co., Inc.
All new customers of PFI Co., Inc. who place an order for the first time must pre-pay by cash, business check, cashier check, bank wire or credit card. In order to establish credit terms for future orders, all new customers must fill out a confidential PFI Co., Inc. new customer form and credit application. Otherwise terms will be on C.O.D. PFI Co.’s maximum credit term is Net 30 days, based on a credit check. If the credit account is not paid in full after the Net 30 day period, PFI Co., Inc. reserves the right to move the account payment terms from credit to C.O.D. until the account is paid in full. PFI Co., Inc. reserves the right to assess late account payment fees as described under the policy’s (9) Late fee terms. Minimum order value with free delivery to the City of Chicago is $ 300.00 and $ 500.00 for locations within 30 miles of PFI Co.’s warehouse location. There is no minimum value for self-pickup orders from the warehouse. Lead time for self-pickup orders is 48 hours. Minimum lead time for delivery is 72 hours and can vary depending on order value and location. A pallet exchange is required for all orders or a $ 7.50 per pallet will be assessed to the invoice. When you receive your order, please verify that you have received all the items contained in your order. Carefully inspect that all merchandise has been received in good condition. If problems arise with your order, please call PFI Co.’s Customer Service immediately at (847) 288-0708 to have a credit issued due to damage, spoilage or other issues. Backorders are upon request only. 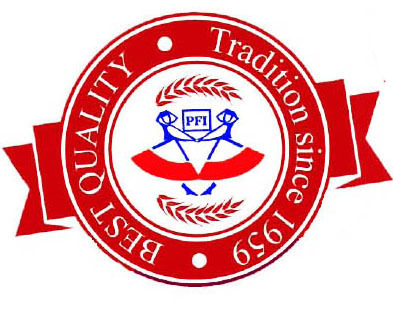 PFI Co., Inc. does not guarantee sales of purchased items. All claims MUST BE MADE within 7 days of delivery. Returns for seasonal, holiday, perishable and closeout merchandise WILL NOT BE ACCEPTED after 7 days from delivery. To initiate a return, please notify PFI Co.’s Customer Service at (847) 288-0708 or your PFI Co. sales representative. Items must be in their unused, unopened, original packing, original case in resalable condition or a restocking fee will be charged. PFI Co.’s drivers will not accept any returns or adjust an invoice ifreclamation is not according to the current delivery order and adhered to the terms found under policy terms (5) Inspection and Acceptanceand (6) Returns. All credit card transactions are subject to a 3% process & handling fee. A service charge of $30.00 will be assessed for any NFS checks. NFS checks or credit card rejections will result in delayed shipment of subsequent orders. Please allow time for pre-payment to clear. Customers who pay beyond established terms risk being returned to pre-payment status. PFI Co., Inc.’s prices are subject to change without notice due to changing market conditions and fluctuations in exchange rates. All prices are FOB PFI Co., Inc.’s warehouse in Franklin Park, IL. Payments made after the Net 30 day period will be assessed 2% interest per month on the total outstanding balance until the account is paid in full.